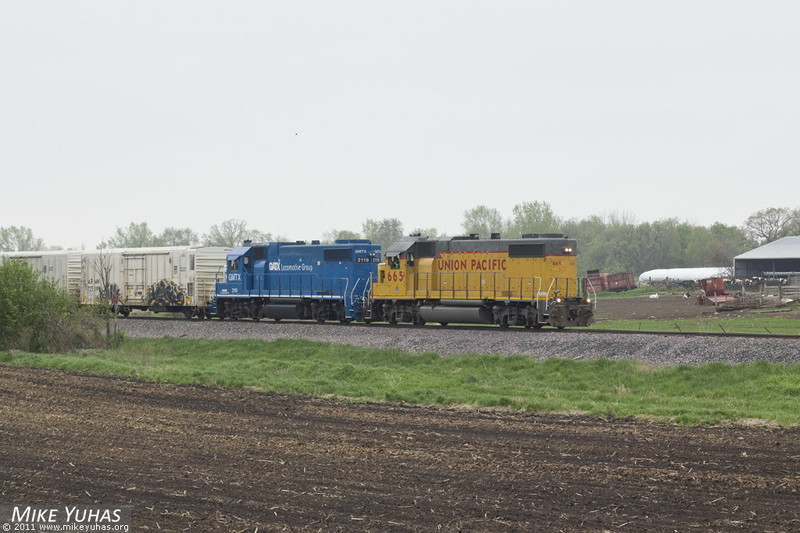 Union Pacific's "Job 18" heads north on the Clyman Subdivision with five reefers. All cars - plus the GMTX 2119, which is due for a 92-day inspection - will be set out at Clyman Junction, where they'll be picked up by a wayfreight. Crew will return to Jefferson Jct with light power.